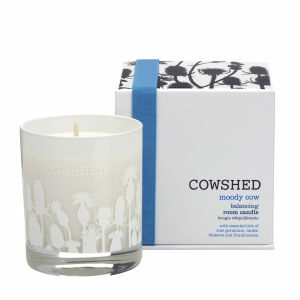 Relax and unwind at the end of a stressful day with the Cowshed Moody Cow Balancing Room Candle. Featuring a calming fragrance of geranium, linden blossom and frankincense, this gorgeous candle will help to harmonise and rejuvenate your senses. Made using 100% natural wax which is made of GM-free, organic and certified vegan ingredients, the candle also has an Egyptian cotton wick, which allows it to burn evenly. - L.M.